Le Blog What is a Peel? A skin peel is a professional resurfacing treatment, designed to safely remove the outer layers of the skin, while bringing newly regenerated layers of healthier, brighter skin to the surface. A skin peel is an amazing treatment that can be used on all different skin types to target a number of concerns such as pigmentation, acne scarring, breakouts and congestion, uneven skin texture and fine lines and wrinkles. At Glo Skin Body we offer the Dermalogica BioSurface Peel, a chemical peel that delivers on results without the scarring and downtime associated with traditional peels. The BioSurface Peel has both an enzyme part and an acid part, meaning that it targets both the alkaline and acidic levels of the skin, working with your skins pH instead of against it. The enzyme part starts the peeling process by dissolving build up of excess skin cells and stimulating cell turnover and collagen production. It also has a low irritant level so it prepares your skin for the next step. The acid part maximises the peeling process by using highly active lactic, phytic and salicylic acid to target pigmentation, fine lines and wrinkles and boost collagen and lipid production, leaving a brighter, plumper more hydrated skin. Immediately after your BioSurface Peel your skin may appear red or flushed, but this will shortly subside. It is important to keep your skin hydrated following your peel by increasing your water intake and using a slightly heavier weight moisturiser. However the most important home care step after a peel is sun protection! While we recommend that everyone wears an SPF every day regardless, it is especially important after a skin peel as direct sun exposure could cause hyper pigmentation and further skin damage. A broad spectrum physical sunscreen is recommended, such as Super Sensitive Shield SPF 30. 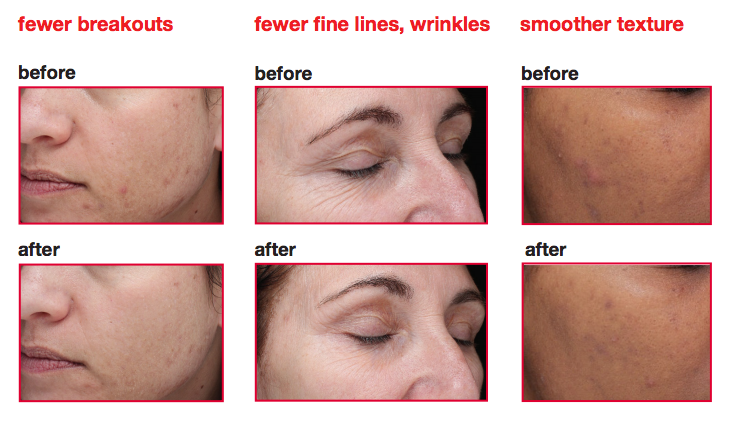 For best results we recommend a course of 3-6 treatments, depending on your skin concern. For skins with no sensitivity biosurface peels can be performed 1-2 weeks apart. For sensitive skins 3-4 weeks apart is preferred. Skin peels aren’t recommended for pregnant clients, or for clients who are taking acne medication such as Isotretinoin, due to the hyper sensitive nature of their skins. If you would like to know more any of our Skin Experts at Glo Skin Body will be more than happy to discuss your skin concerns with you and determine if a skin peel is suitable for your skin!